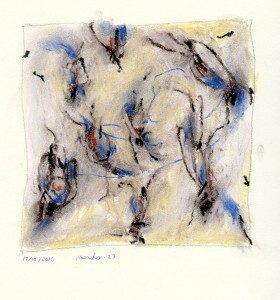 March 31 to April 6 2018, ten drawings of the«mouches» series (2011) in the show «La mouche dans tous ses états» at Maison de la culture Eulalie-Durocher in Saint-Antoine sur Richelieu. 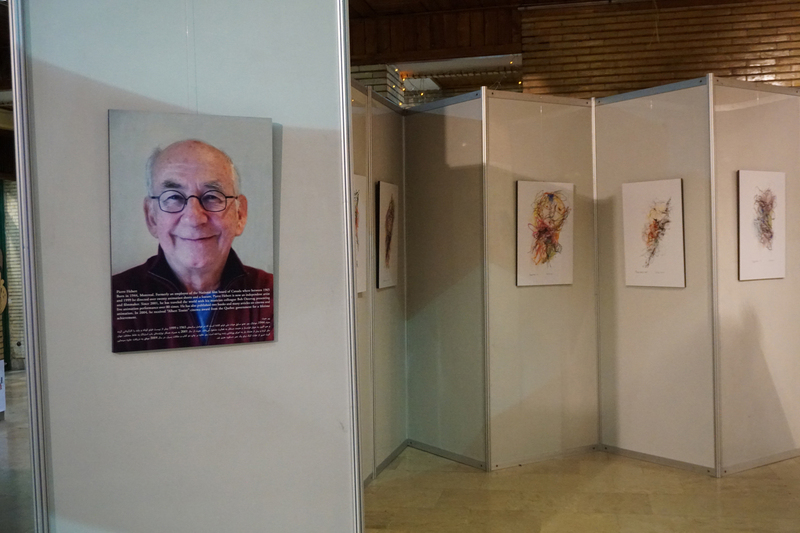 March 4 to 9 2016 Exhibition Tropismes, at the International Animation Festival of Tehran. April 30 /June 16 2014 Exhibition Norman McLaren en héritage – Pierre Hébert at the Musée-Chateau of Annecy, France. 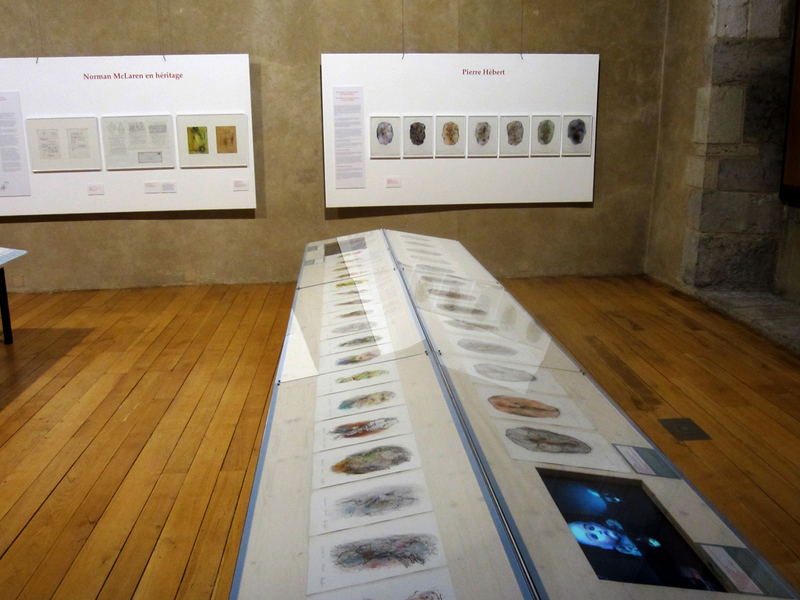 Some forty drawings from the series Tropismes and Inner shield and two videos of the performance Tropismes sare exhibited. 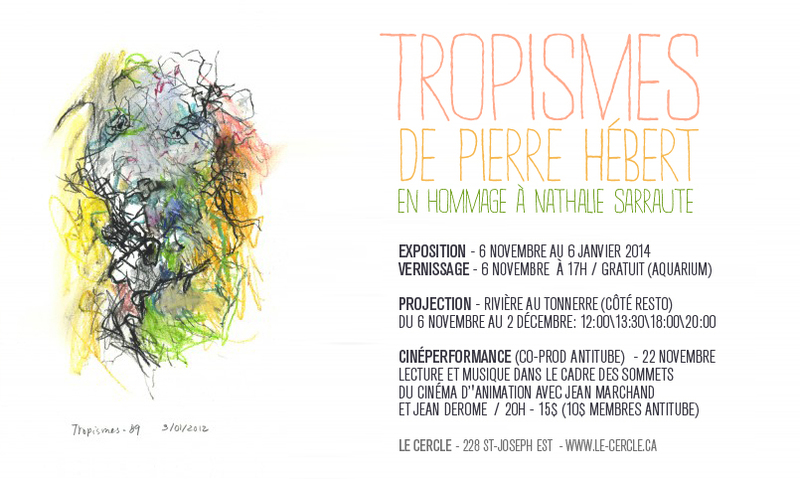 November 6 2013 / January 6 2014 Exhibition of drawings by Pierre Hébert, ‘Tropismes and Inner Shields, at the Cercle, Québec City. 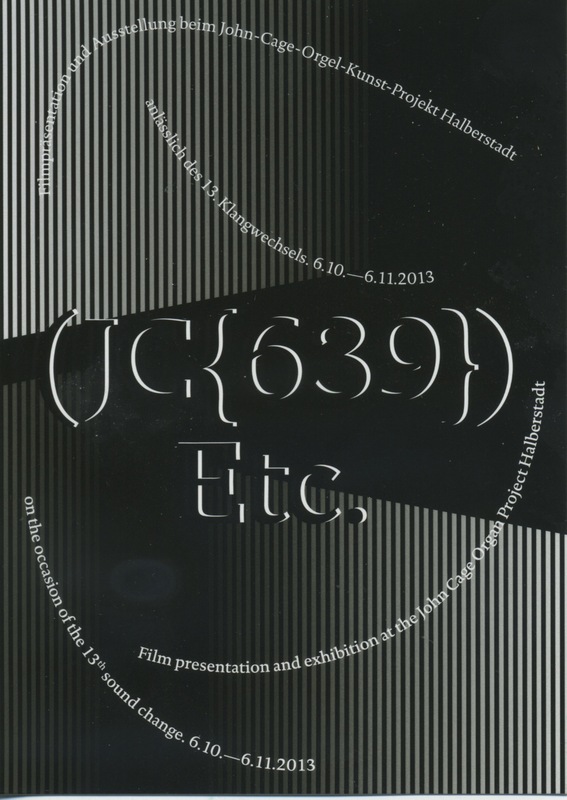 October 5 octobre to November 6 2013 , John Cage – Halberstadt (Palces and Monuments – 5, See the VIDEO) is presented on a flat screen in the exhibition (JC(639)) Etc, at the occasion of the 13th change of note in the John Cage Orgel Projekt, at the Galerie im Herrenhaus near the Burchardi church (where Cage’s work for organ is played over a period of 639 years). 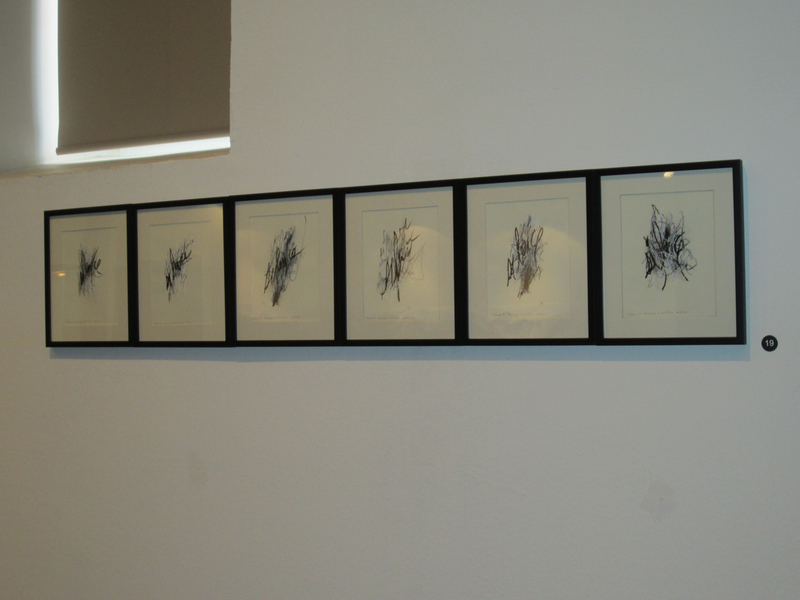 A drawings made for the film and some drawings of the series Silence in homage to John Cage are also part of the exhibition. 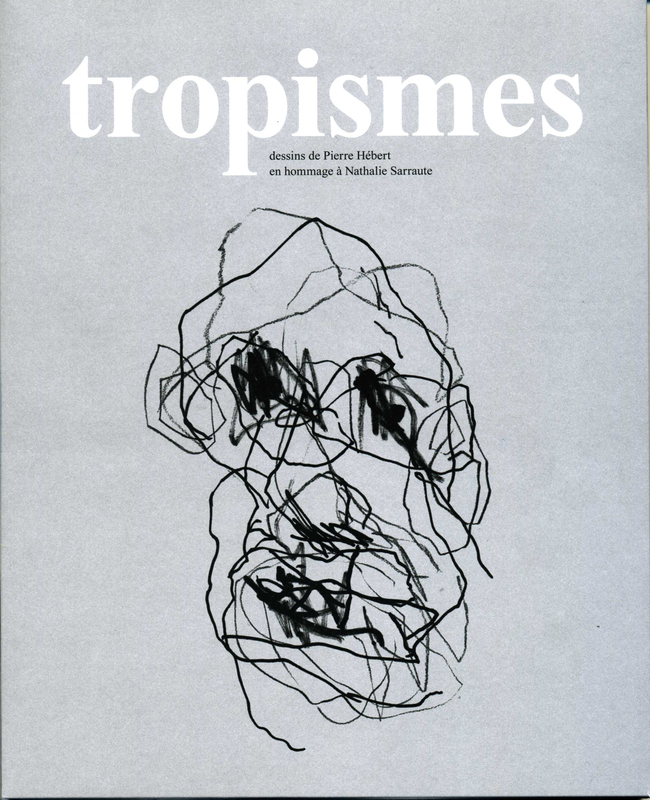 May 8 2012 Opening of the exhibition «Tropisms – 100 drawings in homage to Nathalie Sarraute» at the cinema Excentris in Montreal. 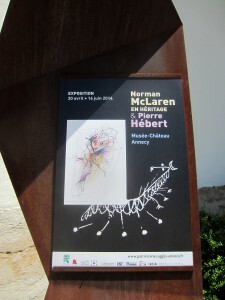 Visit the GALLERY. 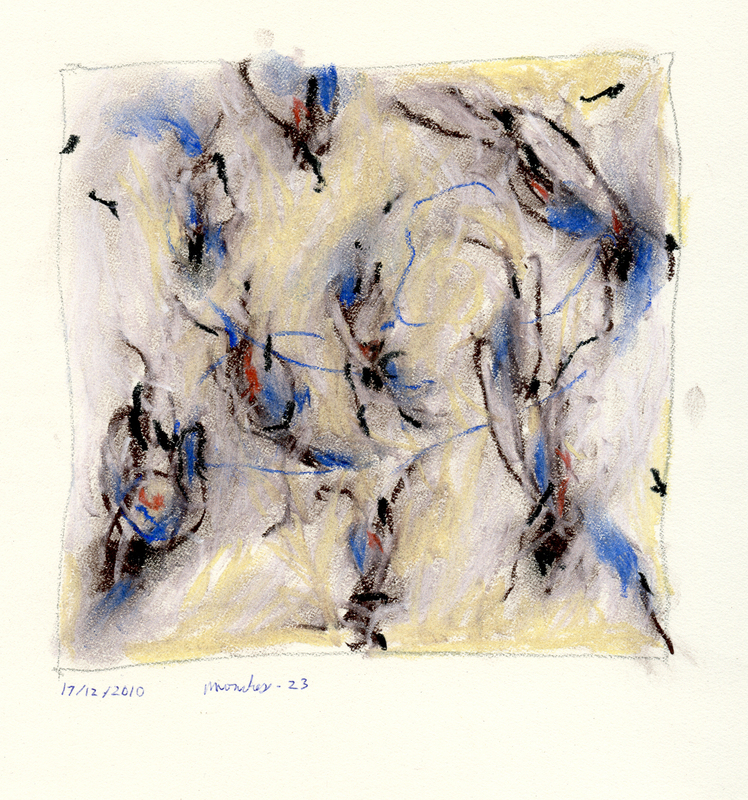 February/August 2012 6 drawings of the series silence in the exhibition Membra Disjecta for John Cage – Wanting to say something about John, February 18 to April 29 at Freiraum quartier21 INTERNATIONAL, MuseumsQuartier Wien in Vienna; May 25 to August 20 2012 at the DOX Center for Contemporary Art in Prag. Visit the GALLERY. 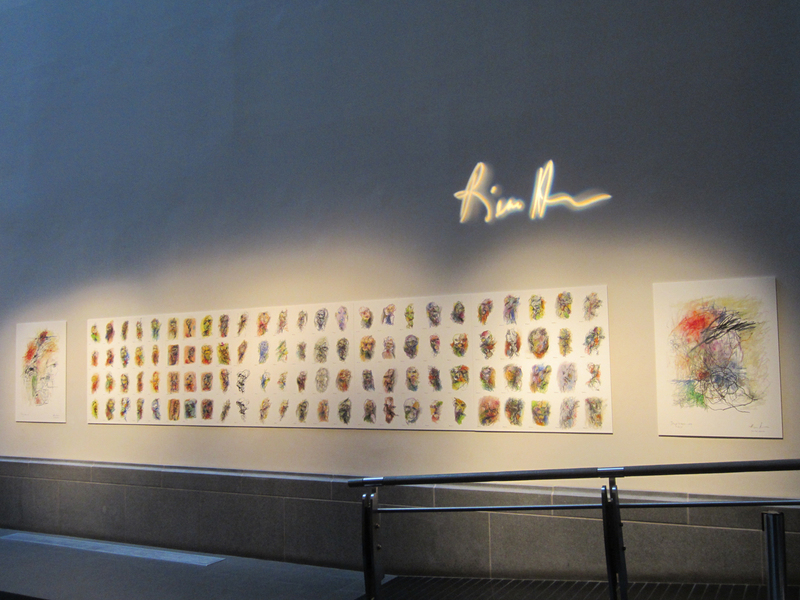 June 10 to 28, 2010 Drawings in the exhibition Tropy, Figury, Refreny, Mistogallerie, Brno, Tcheck Republic. 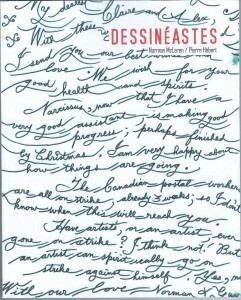 January 13 – February 12 1994 Scratched diapositives (Les versants du regard – 2 on texts by Serge Meurant) in the collective exhibition Dessin à dessein, at the Galerie de l’Université du Québec à Montréal. November 12 – 16 1993 Illustrations for Les versants du regard exhibited at the Vie des Arts stand at ELAC (Entrée libre à l’art contemporain) Montréal. 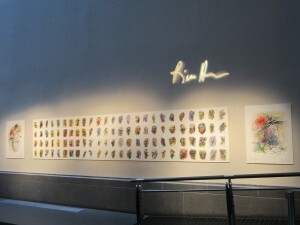 1992 Drawings in the exhibition Montréal, ville de cinéma, Cinémathèque québecoise. 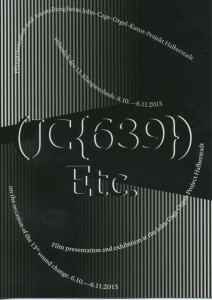 December 1985 Exhibition and et film retrospective at the Melkweg, Amsterdam. September 1985 Group exhibition at the Optica Galery, in Montréal. 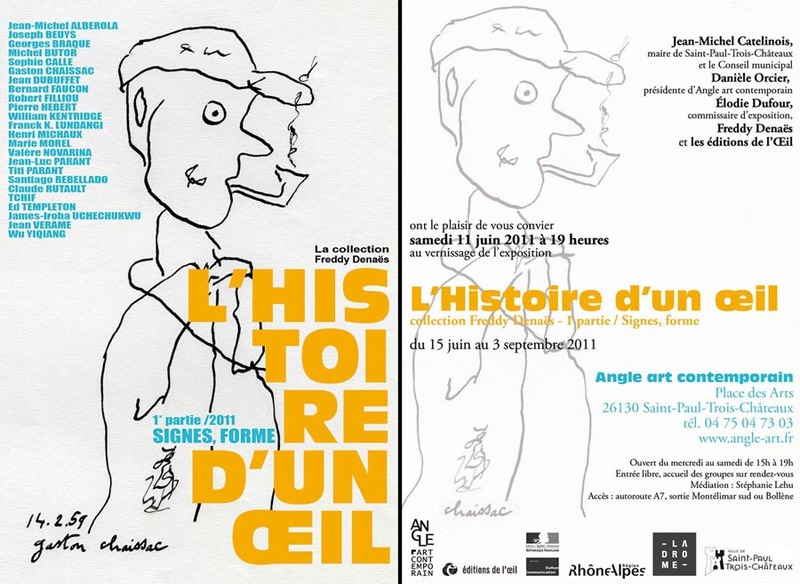 November – December 1983 Exhibition of the drawings for Beyrouth, à défaut d’être mort, Cinémathèque québecoise. 1968 Group exhibition at l’Etable , Montreal Musem of Fine Arts. 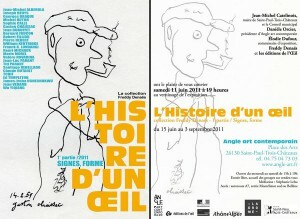 1967 Films and prints in the Canadian participation at “la Biennale de Paris”. 1966 Group exhibition, Centre d’art du Mont-Royal, Montreal. 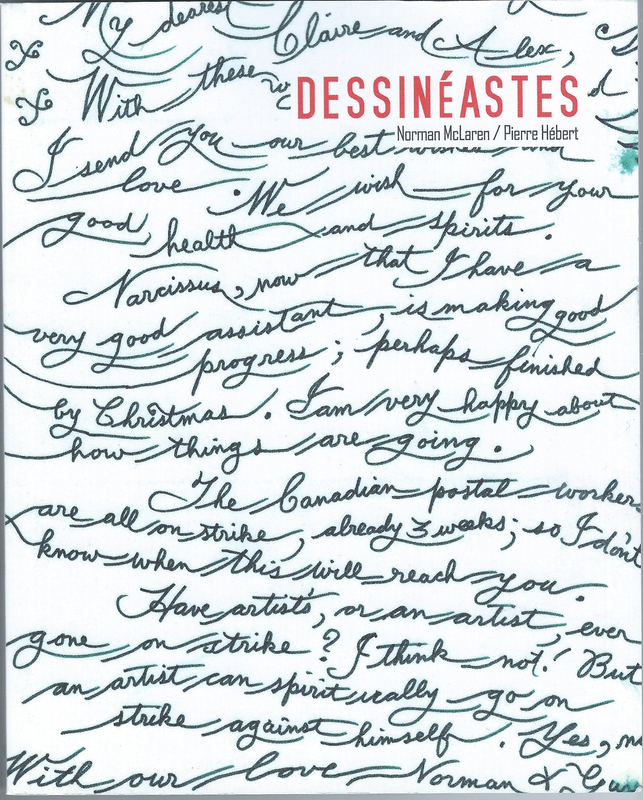 1966 Exhibition “Aquarelles, estampes et dessins canadiens”, National Gallery, Ottawa. 1966 Exhibition “Graveurs du Québec”, Musée du Québec and Musée d’art contemporain de Montréal. 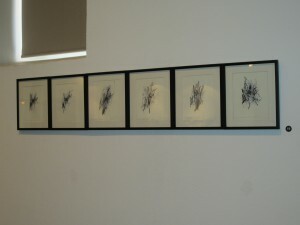 1965 Group exhibition , L’atelier René Lesieur, Quebec City. 1964 Exhibition, Galerie Claude Haefely, Montreal.